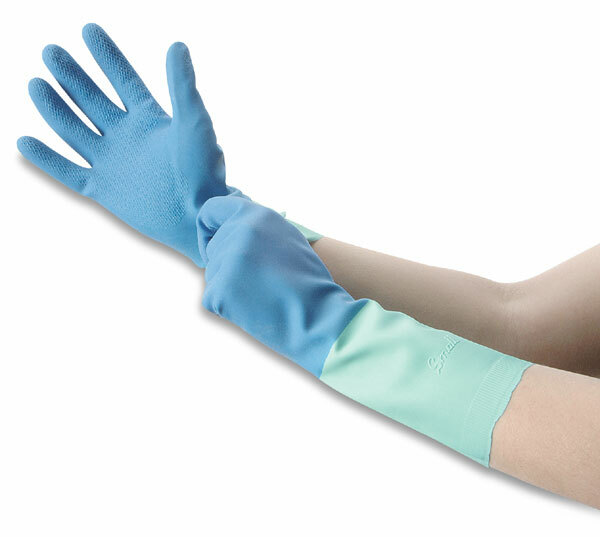 With great chemical resistance and protection from cuts, abrasions, and punctures, nitrile gloves are practical, durable, and comfortable. Two-color construction provides wear indicator. Features an embossed surface for safe, secure grip. 13" long.